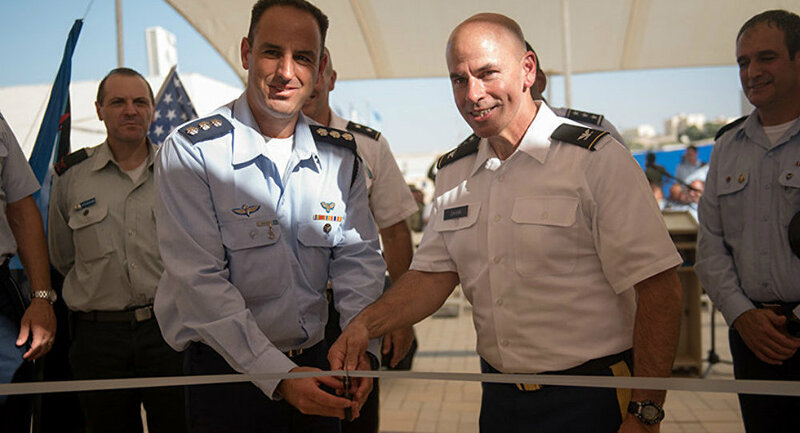 “This is the first time that we have an American flag flying in an IDF base,” the general said, who is also head of the Israeli Air Force’s Aerial Defense Command. “The base is here to stay,” Haimovitch told reporters who were concerned about the activity of dozens of US troops who will live there.”It involved a significant allocation of resources, in the understanding that this was right and necessary part of the United States’ assets in Israel,” he said, according to a Tuesday Haaretz report. The air base is situated in Negev, a desert region in southern Israel, where the IDF operates its School of Air Defense, Haimovitch was quoted as saying by Hamodia, a Haredi Jewish English-language daily. One of the main purposes of the US presence in the country has to do with missile defense systems, according to Military.com. There are conflicting reports regarding which military specifically will retain jurisdiction over the base. For instance, it wouldn’t be unprecedented for the US to simply rent out real estate to install a military base: Camp Lemmonier in Djibouti sits on leased land. Israel maintains a robust anti-missile apparatus with the support of US technology in some cases. Approximately 100 US soldiers have been stationed in the Negev Desert since 2012 operating the Band-X radar system to integrate signals from guided-missile Aegis destroyers, military satellites in space, and ground based interceptors, Gizmodo reported at the time. The Band-X radar has since been renamed to the Terminal High Altitude Area Defense (THAAD) system.